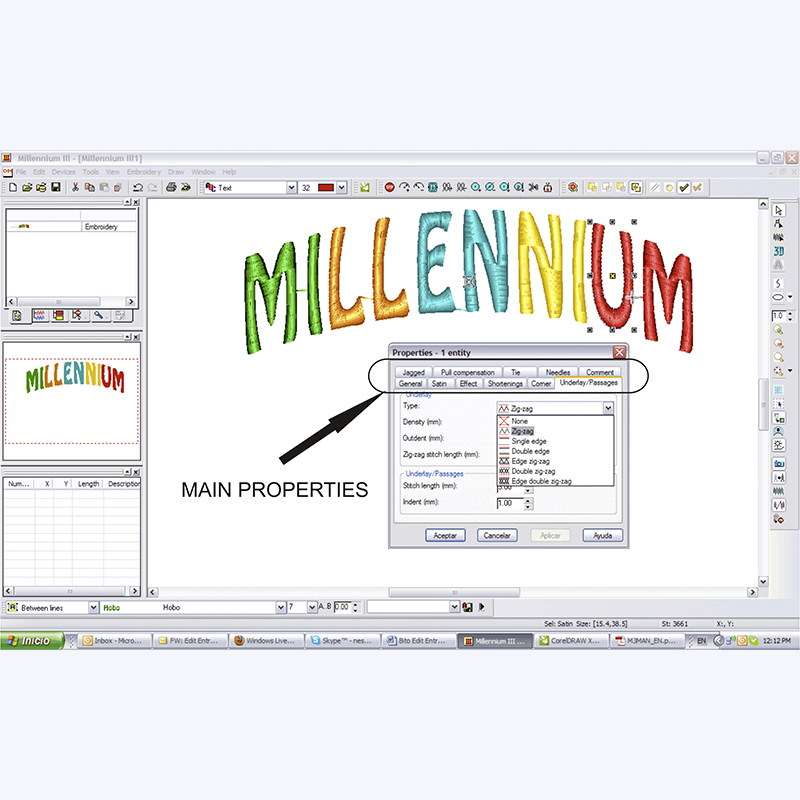 Proel Millennium III software is designed to meet the complete needs of any commercial embroiderer. 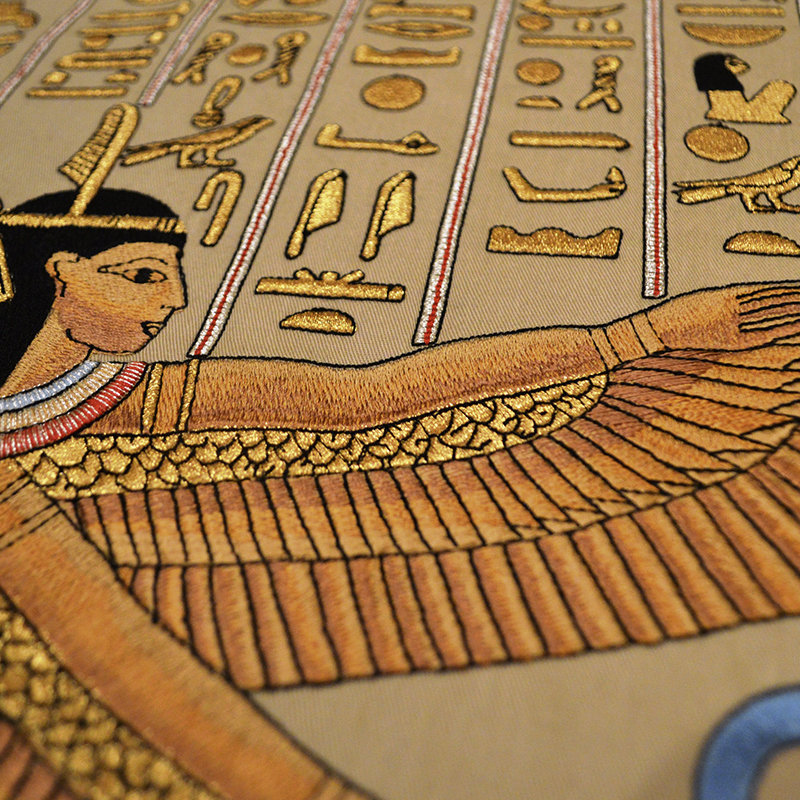 From basic lettering to sophisticated, complicated designs, it has a full range of tools and features that enable a digitizer to create beautiful embroidered works of art. 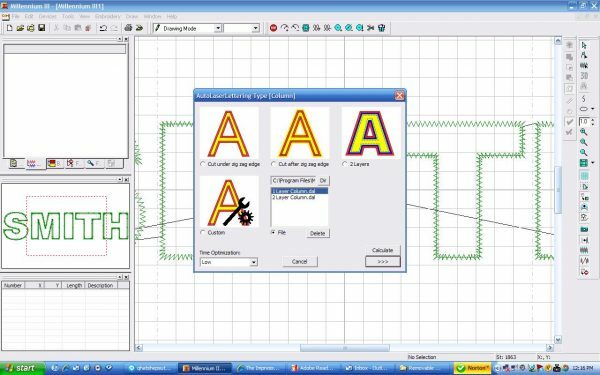 Embroiderers can purchase the level of software they need and upgrade as their needs and budget increase. This level is for beginners who want to add lettering to designs along with some basic editing capabilities. Offers keyboard lettering in more than 50 ready-to-use fonts. If a stock font will not work, create any type of text desired. 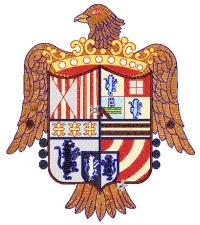 Specialty fonts such as Greek, cross-stitch, and monograms are included. Arrange text in a variety of formations including lines, curves, arcs, and circles. Edit all the text at once or individual letters. Designate if you want the text to be monochrome or multicolored. Edit and manage multiple areas of text. Offers complete control of the stitch properties such as underlay, density, tying, compensation, thread trimming and more. Automatically repeat any text section such as the name of a city for a name drop. Optional features include archiving; creation of a paper catalog, Web pages, CD-ROM catalogs; and production management. This level is for those who use pre-digitized designs and need to edit or add text. Includes all the features of the Edit Entry level. 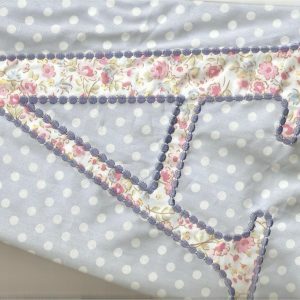 Contains: single and multi-stitch editing tools that allow you to modify the embroidery created or imported. This level is designed for intermediate and advanced level digitizers who want to expand beyond basic digitizing capabilities. It includes a powerful lettering system and a sophisticated stitch editor that allows you to modify designs even if they have been created by other systems and/or in different work file formats. Include all features of the Edit Entry and Punch Entry. 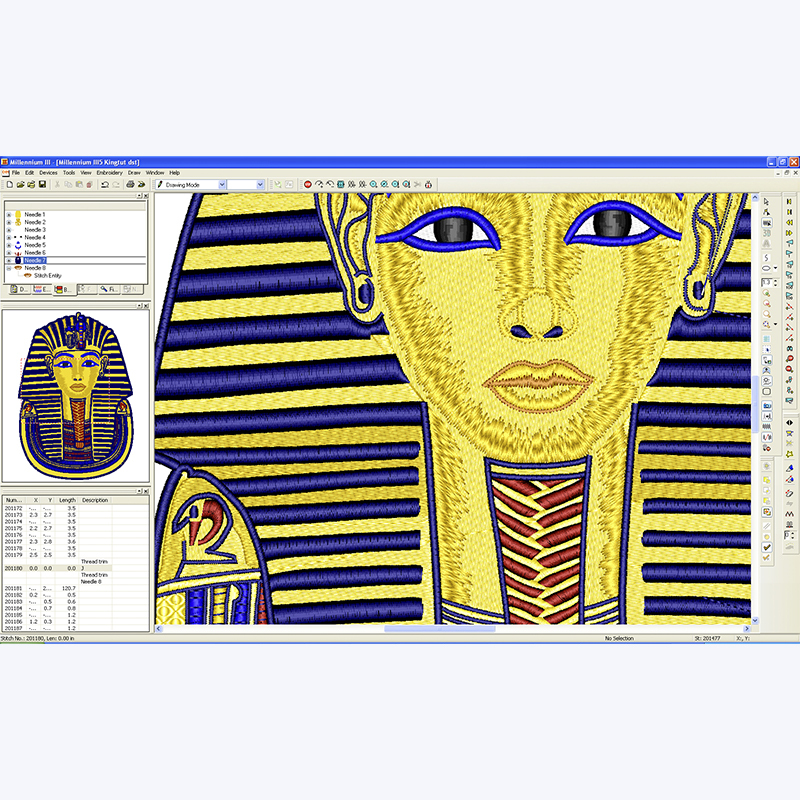 Easily and automatically digitize vectors as well as deposit stitches to vector-defined artwork. Create complex fills with void areas. 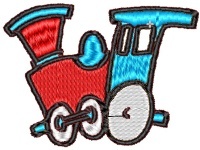 Send an image to customers for approval of a digitized embroidery design without the customer needing to have an embroidery program to view it. Output machine data in multiple machine formats and produce detailed work sheets for the production department. 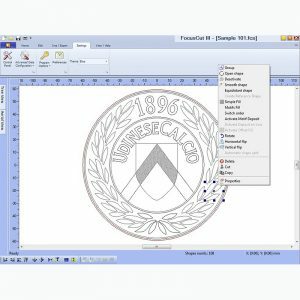 The Advanced level of Proel Millennium III goes beyond standard digitizing tools with highly complex calculations for curve and vector processing of shapes and stitch types. Offers the features of all previous levels including editing and digitizing. 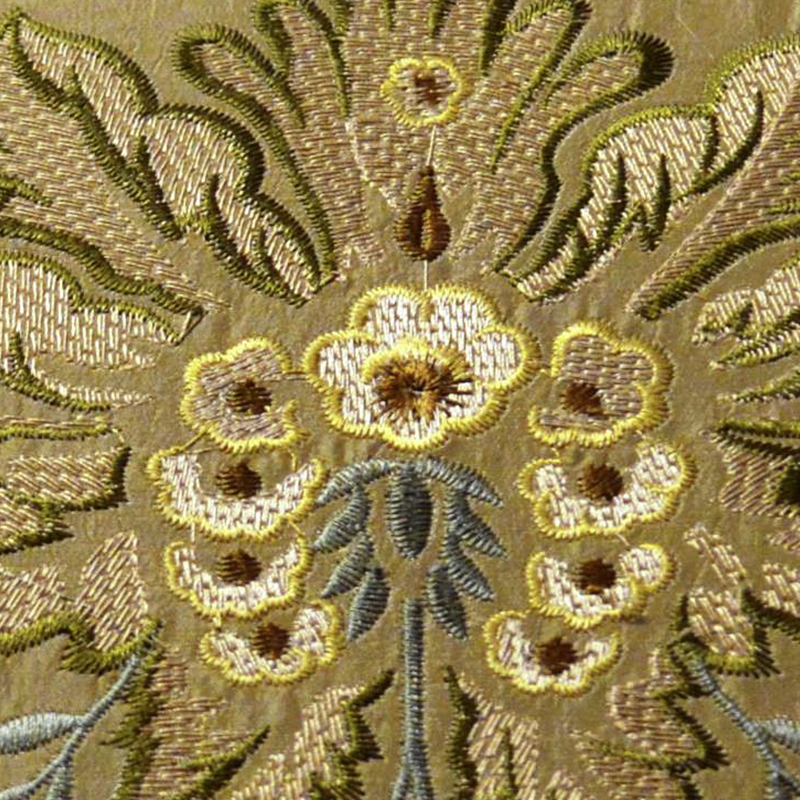 Allows digitizers to create new designer looks that go beyond traditional embroidery stitches available in most professional-level systems. Generate a single motif that can be used as an outline or a fill. Offers a wide array of specialty stitches such as 3D fill effects and sequin digitizing with an abundant selection of sequin shapes such as round, square, diamond, floral, and cross. Offers moss stitch (chenille) digitizing capabilities for chenille embroidery. Create and manage complex and background fills, including the difficult-to-calculate internal void areas. The photo embroidery function makes it possible to punch color or black and white images. For color images, the function uses a combination of four fundamental colors that can be customized to obtain particular chromatic effects. Black and white images are punched using a single thread.